How to have good spinal health? The spine is one of the most important parts of our body and an integral part for daily activities including walking, standing and sitting. Naturally then spine health is most important but often ignored. 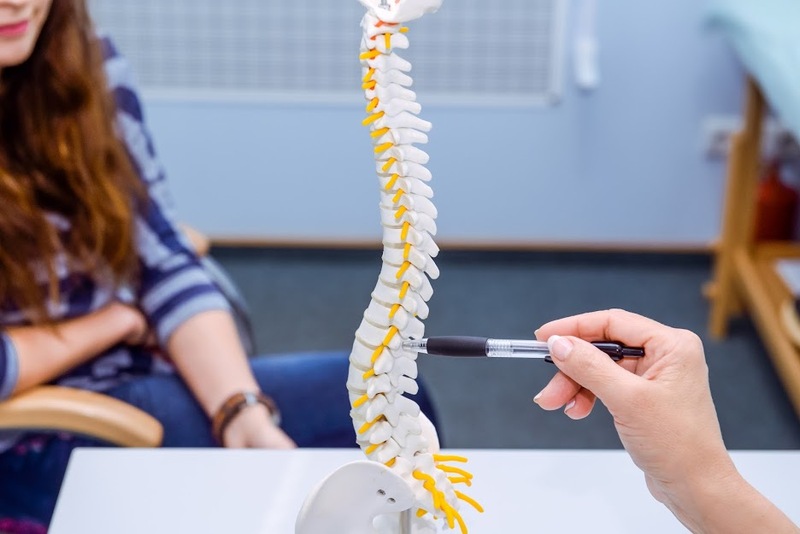 The spine or vertebral column extends runs from head downwards upto pelvis in the back and is one of the major structures to hold our body erect. More importantly, it surrounds the spinal cord as a protective barrier against any injury. Since it actively participates in all our daily movements and postures, a weak spine severely restricts those day to day activities. 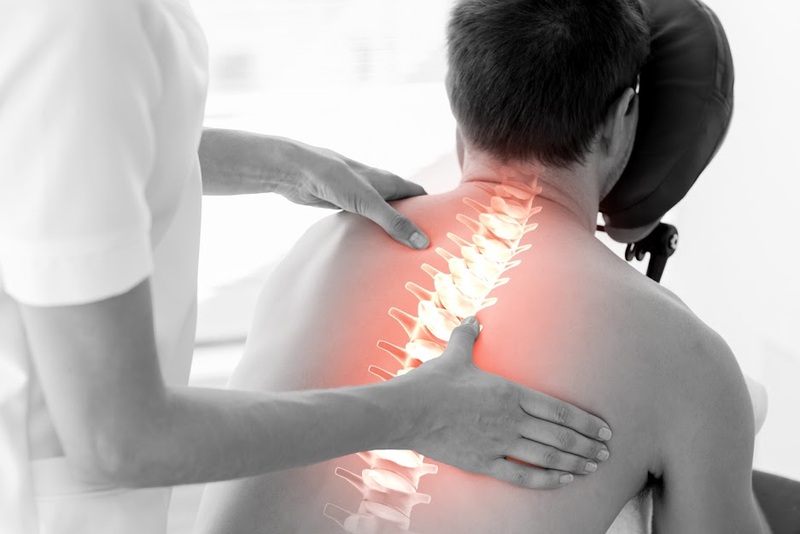 A diseased spine can also put pressure on spinal cord causing serious neurological symptoms like paralysis. Hence a healthy spine is of utmost importance. If your spine is not healthy a nagging back or neck pain is common. “This interferes with your daily activities and routine and will affect you mentally, emotionally and physically. In some cases, we have seen a patient suffering from chronic back pain goes into depression and had to be treated through a psychiatrist. So, having a healthy spine makes you mentally, emotionally and physically sound,” says Dr. Sambhav Shah, Spine Surgeon, Bhatia Hospital, Mumbai. The human spine gives stability because of its highly articulated structure which is made strong by immensely strong postural muscles. Locomotion would not be possible without the proper function of the spine. “Any pain or stiffness that disturbs our ability to move around will trigger anxiety on a primary level. 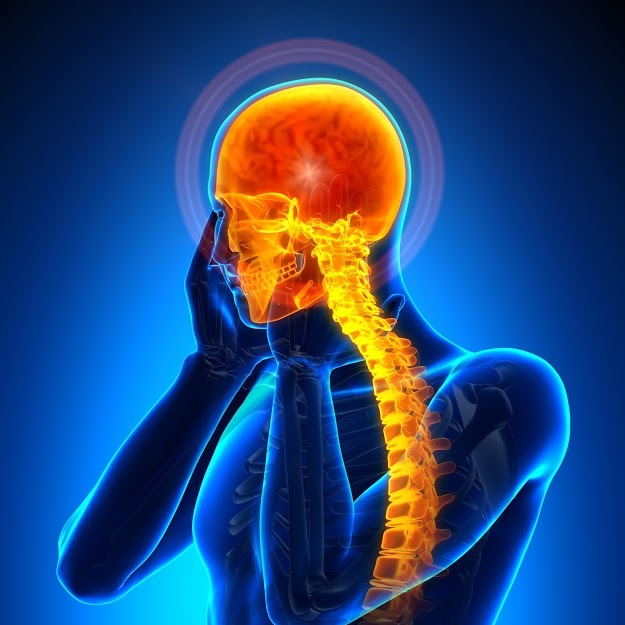 Spinal motion is critical for brain function and health. Research shows that limited spinal motion negatively impacts the brain,” says Roohi Merchant, Fitness and Head Coach, I Think Fitness, a Mumbai based fitness club. A healthy spine transmits the weight of the body downwards. By maintaining proper posture, it keeps relaxed the muscles surrounding it. 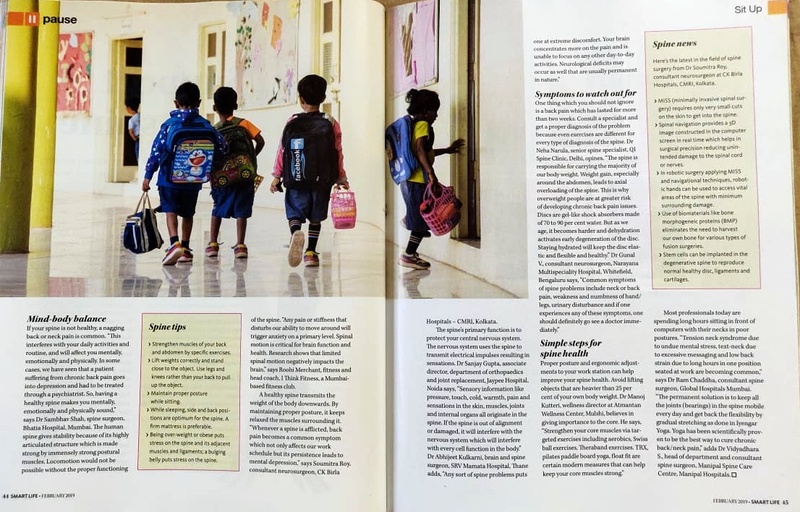 “Whenever spine is afflicted, back pain becomes a common symptom which not only affects our work schedule but its persistence lead to mental depression,” says Soumitra Roy, Consultant Neurosurgeon, CK Birla Hospitals – CMRI, Kolkata. Proper posture and ergonomic adjustments to your work station can help. Avoid lifting objects that are heavier than 25% of your own body weight. Dr. Manoj Kutteri, Wellness Director at Atmantan Wellness Center, Mulshi, says, “give importance to Core-Strengthen your core muscles via targeted exercises including aerobics, Swiss ball exercises, Theraband exercises. TRX, Pilates Paddle board Yoga, Float Fit are certain modern measures practiced in Atmantan to keep your core muscles strong.” Sitting is the next smoking and most professionals today are spending long hours sitting in front of computers and using laptops, phones on their ears often and texting more often with their necks in extreme poor postures. “Tension neck syndrome due to undue mental stress, text-neck due to excessive messaging and low back strain due to long hours in one position seated at work – are becoming commoner than most people can imagine,” says Dr. Ram Chaddha M.S. Consultant Spine Surgeon, Global Hospitals Mumbai. “The permanent solution is to keep all the joints (bearings) in the spine mobile every day and get back the flexibility by gradual stretching in the form of Iyengar Yoga. Yoga has been scientifically proven to be the best way to cure chronic back/neck pain,” avers Dr. Vidyadhara S, HOD & Consultant Spine Surgeon, Manipal Spine Care Center, Manipal Hospitals. Strengthen muscles of your back and abdomen by specific exercises. Lift weights correctly and stand close to the object. Use legs and knees rather than your back to pull up the object. Maintain proper posture during sitting. While sleeping, side and back positions are optimum for spine.A firm mattress is preferable. Being over-weight or obese puts stress on spine and its adjacent muscles and ligaments; a bulging belly puts stress on the spine. MISS (Minimally Invasive Spinal Surgery) requires only very small cuts on the skin to get into the spine. Spinal Navigation where- 3D image is constructed in computer screen in real time which helps in surgical precision reducing unintended damage to spinal cord or nerves. Robotic surgery where applying MISS and navigational techniques, robotic hands can be used to access vital areas of spine with minimum surrounding damage. Using of biomaterials like Bone Morphogeneic Proteins (BMP) eliminates the need to harvest our own bone for various types of fusion surgeries. Stem cells can be implanted in the degenerative spine to reproduce normal healthy disc, ligaments and cartilages.